As Athletic Media Group has its headquarters in Crete, it would be a fact that its activities would include a site dedicated to the most historical team of OFI. 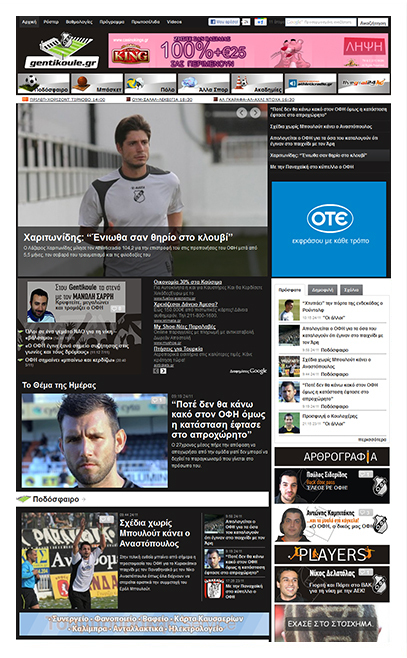 gentikoule.gr was launched in order to cover all the news of the most famous Cretan team. Experienced journalists offer direct and accurate information to the numerous fans. An application of “live chat” is available during the broadcast of each match in order to provide to the fans the opportunity to insert their comments in real time. Live chat is also used for live conversations between the players of the team ( by all sport sections: football, basketball, water polo, volleyball) and their supporters.